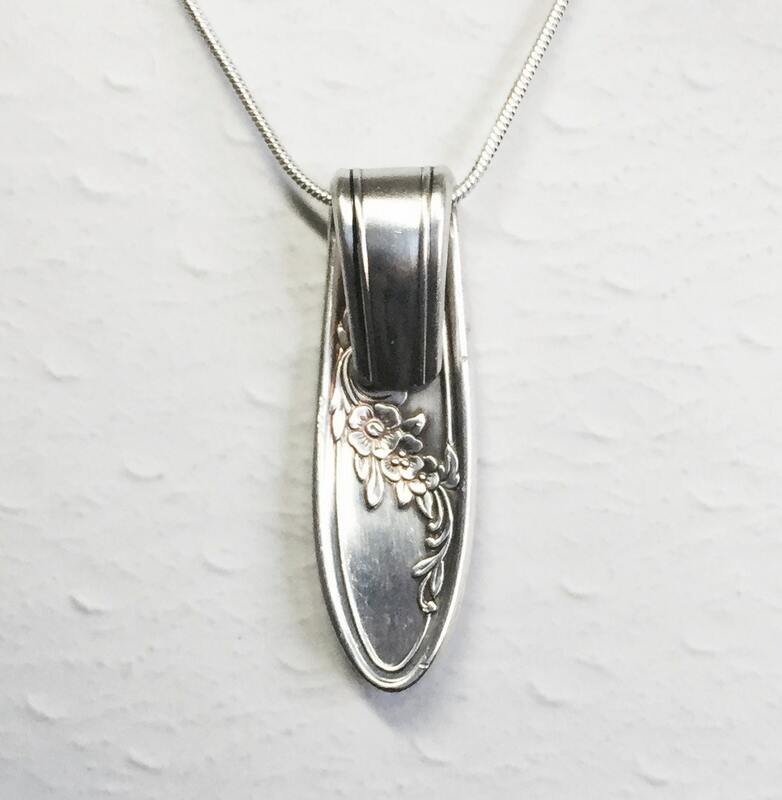 This elegant spoon necklace was crafted from a vintage silverplate teaspoon in the "Queen Bess" pattern from 1946. It measures 1 1/2", so it's a nice medium sized spoon pendant. Not too large, and very comfortable to wear. 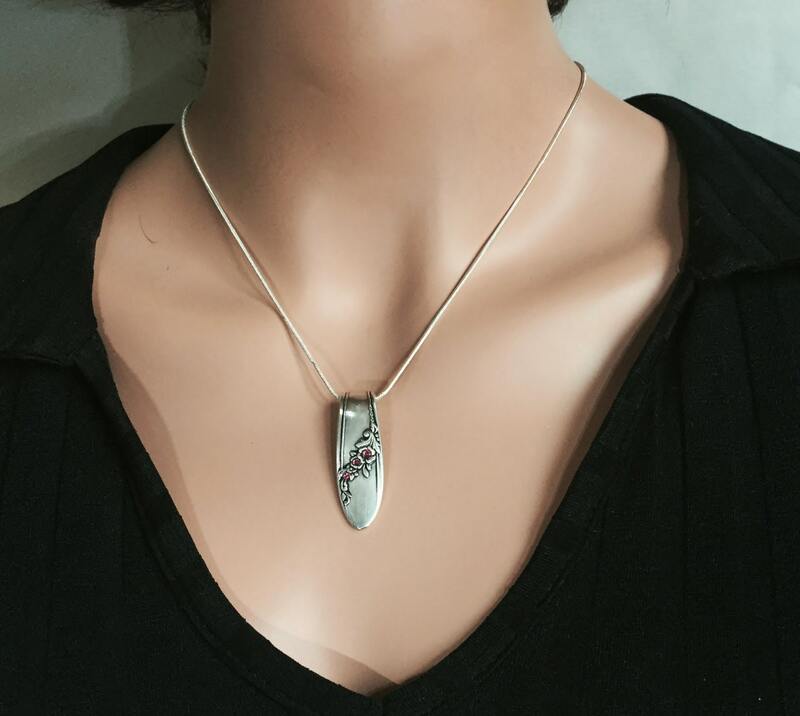 It's shown on a sterling silver finished 18" snake chain with lobster clasp. 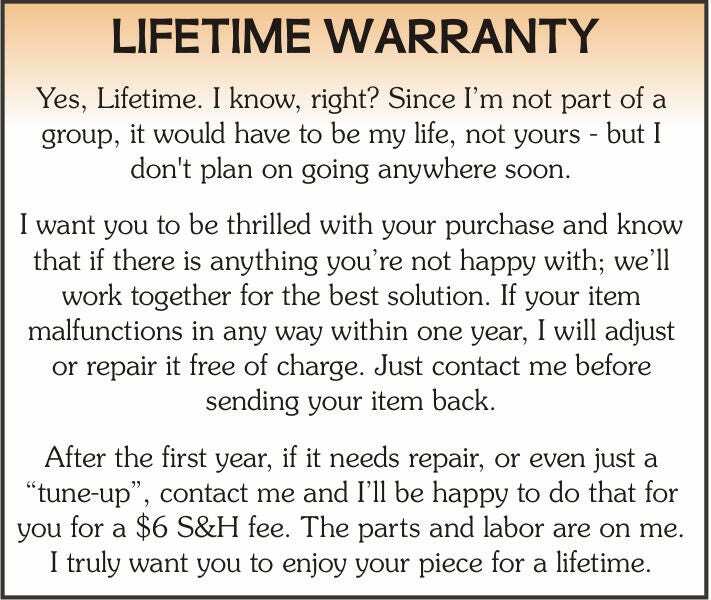 You may also opt for a 16", 20" or 24" chain if you wish. Just choose your favorite length from the dropdown menu at checkout. 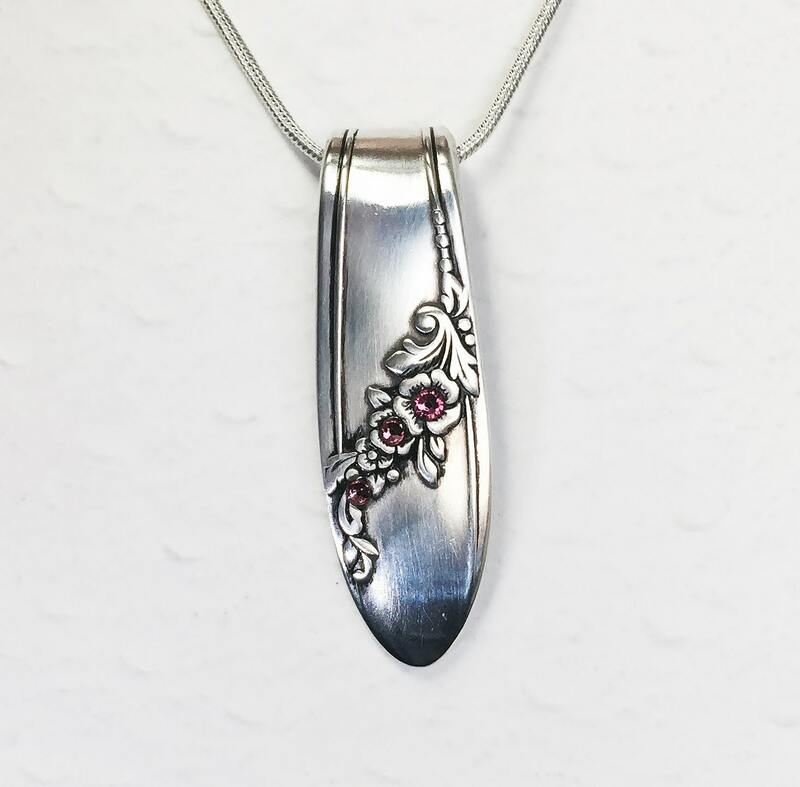 This simple floral pattern on this spoon pendant has been embellished with 3 tiny rose pink swarovski crystals for a little extra flash. The spoon's original beauty has not been altered or disguised; but just enhanced with a flash of color. 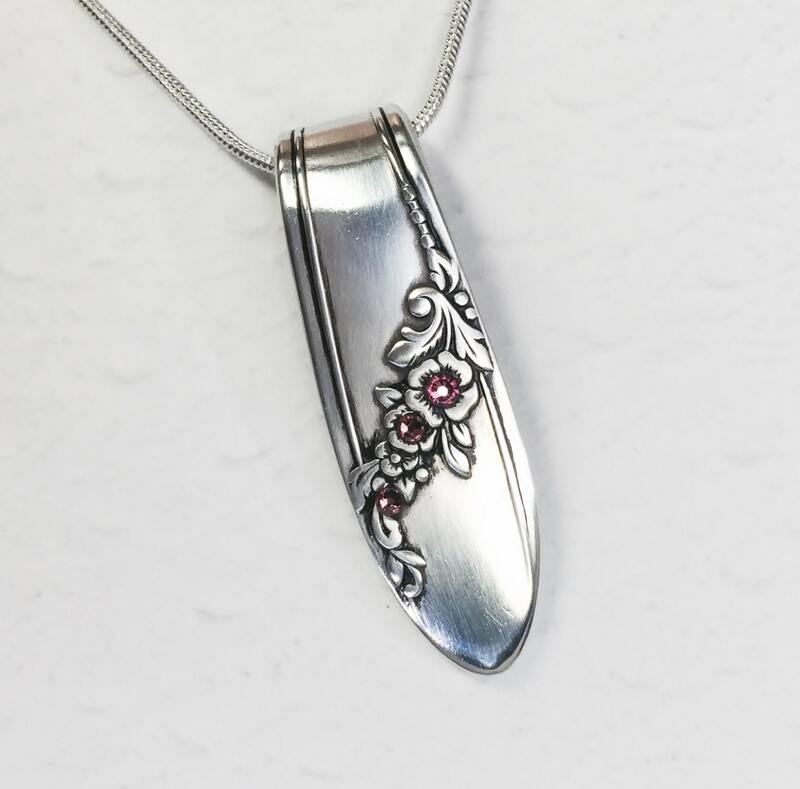 Your bedazzled spoon piece of silverware jewelry will arrive in festive packaging; along with a Spoonfest Jewelry story card, and age & pattern of the spoon. 3rd of five that I bought.Beatuiful. This is my second spoon necklace purchase from Marianne. This one was for my mom and she loves it! 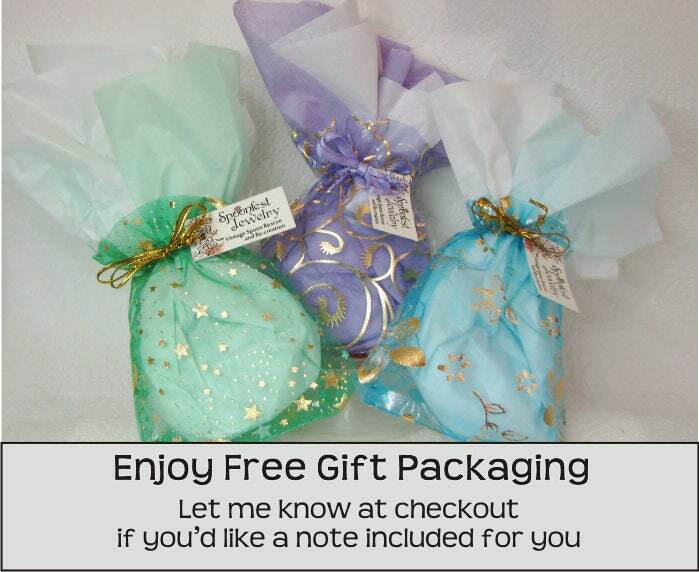 These pieces are beautifully done and packaged with care. 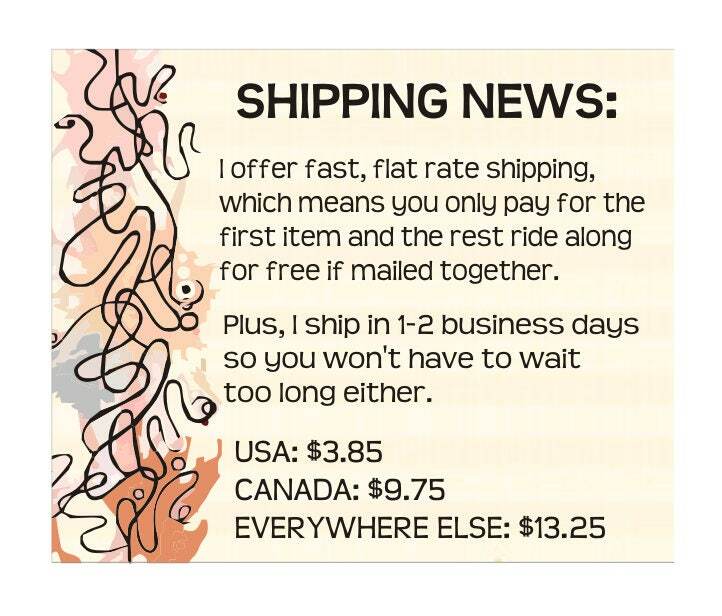 I highly recommend this shop!